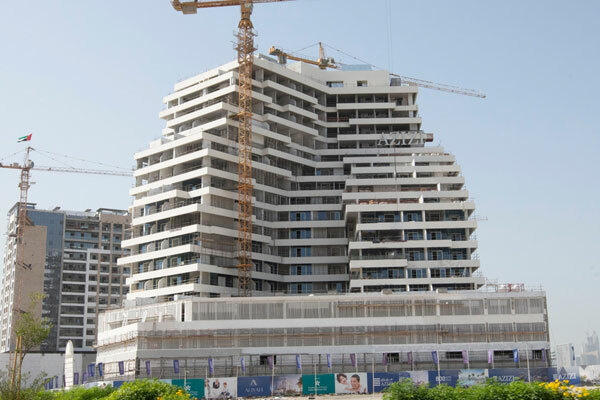 Azizi Developments, a leading private developer in the UAE, said the construction work on its Dh470 million ($128 million) Azizi Aliyah Residences, the group's first premium property in Dubai Healthcare City, has entered into its final phase. According to Azizi, the construction work is almost complete with the conclusion of the mobilisation and structure phases, while MEP works and finishes are well underway. The internal and external structure painting works are progressing rapidly, it stated. On completion, Azizi Aliyah Residences will boast a total of 346 fully serviced residences - 191 studios, 135 one- and 20 two-bedroom apartments - along with 16,000-sq-ft upscale retail space in DHCC. Residents of Azizi Aliyah Residences will get to enjoy panoramic views of the city, leisure activities, family amenities, and the finest healthcare facilities the country has to offer. CEO Farhad Azizi said: "Dubai Healthcare City offers a prime location because of its access to the emirate’s key shopping malls, recreation centres, and its proximity to the historic Dubai Creek, in addition to being a high profile hub for health and wellness."